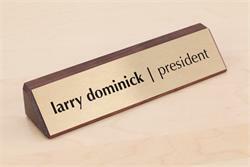 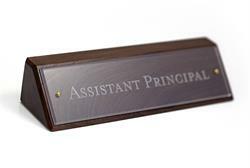 Desk name plate sign with rosewood base and a customizable aluminum name plate. 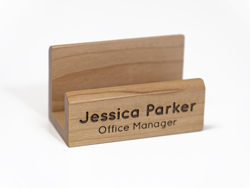 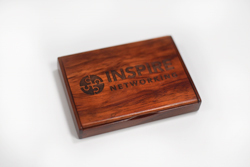 This wooden desk sign includes a slot on the top right portion of sign for holding business cards. 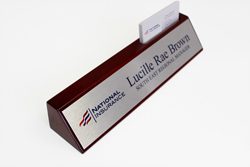 Personalize the aluminum plate with your name, credentials, company name or company logo in full color at no additional charge. Metal plate is cut smaller than the base to create a wood border around it. 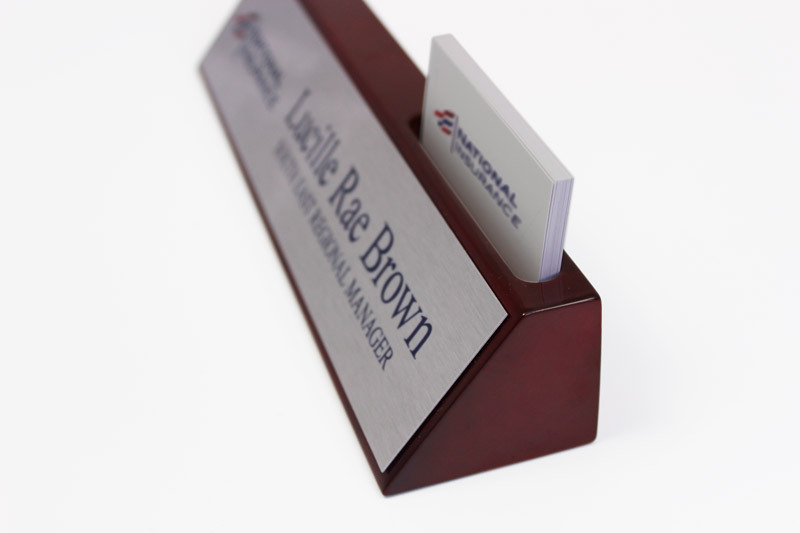 Create the perfect desk sign for your office, reception desk or lobby with this convenient and stylish way to display your business cards. If you require a custom design, please contact us at (701) 526-3835 or service@officesigncompany.com with all of your details. 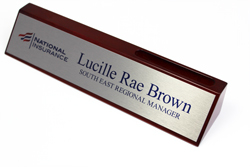 Request a digital sign proof today, and receive it within 24 hours or less.